If you have been following my blog for some weeks now, you would have noticed that most of my blog posts were centered around principles and strategies for growing spiritually. One of the things that spurred me to put up those posts was the fact that I had battled distractions in the past that drew me away from regular communion with God and now I was seeing some progress again in my spiritual walk and I felt, boom! I can do this. I can spend hours praying in tongues. I can resolutely say No to the flesh and match on, studying the scriptures for hours endlessly like the men of old. Oh yeah! I can get so used to these tools, write daily in my journal, become a mountain moving, earth shaking prayer woman. But guess what happened recently. I couldn’t keep up to one quarter of the principles I put down. I mean I made all the plans, mapped out my scripture reading for the day, planned my prayer time yet my resolutions fell flat. Praying in the Spirit also became forced. For hours, I sat with my phone checking my instagram and facebook feed till I became angry and frustrated with myself. Even the sermons I planned to download, I didn’t even remember that something like YouTube existed. It was as if the host of darkness wanted to prove to me I had written nonsense on the blog and that they were unrealistic measures and that it was not possible to live the life I wanted. What was wrong with me? Why would this happen when I was already feeling like a guru in the things of the Spirit. Wasn’t God supposed to be applauding my determination to stay in His presence? For the first time, I felt like a hypocrite stirring others spiritually while struggling with my own personal walk. It was as if by coming out and putting up the posts on spiritual growth, the devil found a way to blow the breeze of slothfulness over my mind. I gave up trying. Still, with my mind weak, I I didn’t give in to guilt that I had not prayed or studied as I should. I turned to the Holy Spirit. I pleaded with him to help me. That I couldn’t do anything without his help. If only I hadn’t forgotten that the Holy Spirit loved when we depend on him, I would have done that often. Suddenly, I began to feel the urge to read the scriptures return. Praying in the Spirit and maintaining discipline became easy. 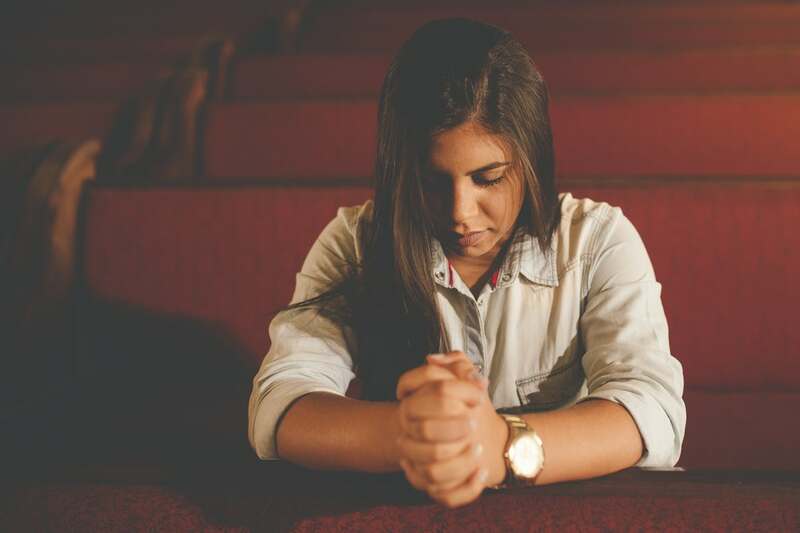 I began to pray the Pauline prayers more and I would find myself taking a break from work and going under one of the trees at my place of work and communing with God. How it happened, I cannot tell. It became clear to me that as wonderful as training our mind to align with the new creature realities is, it must be done in cooperation with the Holy Spirit. The letter there isn’t just about the laws of Moses. Anything that comes out of merely following principles will kill whatever the Holy Spirit wants to do in us. Have you noticed that sometimes when you have decided to give space to renewing your mind regularly, the first few days, you seem geared up but after a few days or weeks, you wonder why you don’t feel that way again? The scripture gives principles and conduct for the new creature so we can know what is expected of us, but how to go about all or any of those principles requires dependence on the Spirit. The Christian life is a life of the Spirit. Even in the things we are instructed to do, like prayer and fasting, there are people who can pray and fast for 40 days yet for years, no transformation has occurred in their life. There are Christians who have spent years in Bible schools but they still walk in the vanity of their minds. It isn’t just about religiously obeying instructions. The life of a Christian goes way deeper than that. When the Holy Spirit comes, He brings life. There are believers who stay away from adultery and some even boast of their faithfulness yet they treat their spouses badly. Some others will rather die than steal anything from the company they work for, even when opportunity presents itself, yet everybody runs away when they get angry. You may boast about how you don’t commit a particular sin, but the truth is, there is still one thing lacking as long as your eyes are fixed on ticking your goodness like the rich young ruler. Pray all you can, read the Bible from cover to cover, you will never grow in the Spirit. Our approach as new covenant believers is to understand that we cannot live out the life of Christ by ourselves. Have you forgotten that one of the functions of the Holy Spirit is to reveal Jesus? We cannot see Christ unless the Holy Spirit reveals him to us. Head knowledge is different from revelational knowledge. You can know so much about Jesus and not know Him. There is a difference. We who have come to surrender ourselves to the life of the Spirit understand that the Holy Spirit works far beyond just the letters of the scriptures. There are day to day activities that the Holy Spirit will be leading you to do, that you won’t find written boldly in the scriptures. There are things that He will ask you not to do, things that are not sinful for certain reasons, he doesn’t want you to do them. We walk in the Spirit by the Spirit. We receive empowerment to stay vibrant in the place of prayer and the Word only through Him. You will burn out if you walk in your own strength. Oh yes, the Holy Spirit will be with us till the end of the age. He is a friend we can trust. …Likewise the Spirit helps our infirmities. For we know not what we should pray as we ought; but the Spirit makes intercession for us with groanings that cannot be uttered. Romans 8:26. …But if the Spirit of him that raised up Jesus from the dead dwells in you, he that raised up Christ from the dead shall also quicken your mortal bodies by his Spirit that dwells in you. Romans 8:11. Will you practice the presence of the Holy Spirit today? Have you seen the Holy Spirit at work in any area of your life? Would you mind sharing with me in the Comment Section below. THE ENCOURAGEMENTS GOD SENDS TO US. Thank you so much for sharing this. Thank you for being honest and open about your walk with God. I can imagine the revolution that would take place in our lives if we were all totally honest with each other. "You will burn out if you walk in your own strength." I hold on to that statement and I ask as I type that the Holy Spirit will help me to totally depend on him for strength and power to stay in constant fellowship with him. I say amen to your prayers. Those are my prayers too… God sees our heart desires and he is already attending to our requests and soon we will see great transformation in our lives. Esther, thanks for reading. 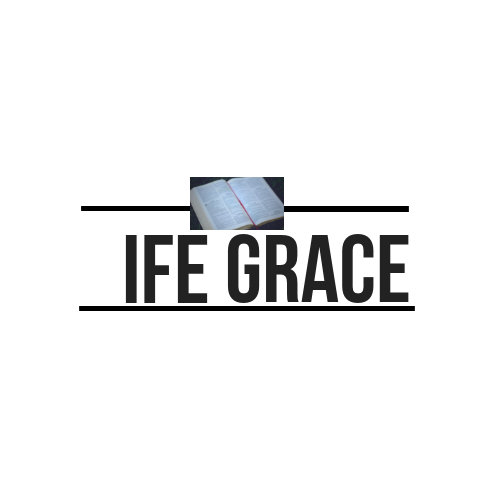 Thank you, Ife! Thank you so very much for this reminder. 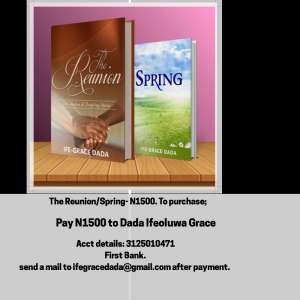 More Grace BigSister… I am not of the letter I am of the spirit of God! am a new covenant believer saved by Grace! #Gracias! God bless you too for reading this. I’ll glad this helped. Thank God for the Holy Spirit, ever there to help even when I am weak. Thanks Ife. True…The Holy Spirit is ever present to help. Thank you Ife Ma’am. Reading this was a timely one. A very timely one. I’m blessed. Thanks. Yes! Some of my favorite scriptures in this article. The Spirit does give life and indeed the true revelation of Christ.